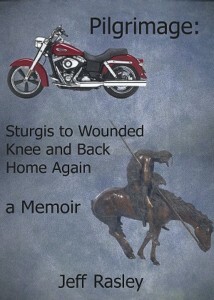 Author Jeff Rasley is pleased to announce the release of his new memoir, Pilgrimage: Sturgis to Wounded Knee and Back Home Again. This pilgrimage begins on a motorcycle. The author planned to whoop it up with biker friends at the Bacchanalia of Sturgis Bike Week. Instead, an unplanned detour to Wounded Knee on the Pine Ridge Reservation leads to confrontation with a troubling family history. One ancestor fought in the Indian Wars and died from a wound sustained at the Battle of Wounded Knee. Another helped the last of the Potawatomi avoid starvation during a harsh winter in Indiana. The journey in Pilgrimage even takes the reader across the Pacific to the Himalayas. Yet, it is back home in Indiana where reconciliation is found. Pilgrimage: Sturgis to Wounded Knee and Back Home Again was released in January 2013 by Midsummer Books and is currently available in print and as an eBook from Amazon.com and Amazon UK. Today we have a sneak peek from Jim Musgrave’s coming-of-age novel, Freak Story: 1967-1969. Buddy Hartman, a sober and clean music promoter in Minneapolis, discovers his biological mother is a freak, but he is incomplete. Buddy’s life is changed forever when he takes his mother and aunt, the Hilton Siamese Twins, to the 1968 Chicago Democratic National Convention in an attempt to resurrect their entertainment careers and realize his own identity. Buddy learns what being a freak really means, as the power of the State meets the power of the counterculture heroes. 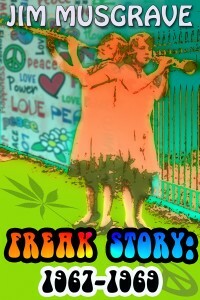 Freak Story: 1967-1969 is available through Amazon.com and Amazon UK. Allison discovers that she is a descendant and the first of her kind to exhibit signs of vampirism. She must decide between risking her mortal death if she cannot control her symptoms or fully transforming into a vampire and damning her soul for eternity. A decision made even more difficult when Allison discovers that Vincent has manipulated her life, and everyone in it, so that he can have the one thing no one else in the world has – the first descendant-turned-vampire. This book is available from Amazon, Smashwords, and Barnes&Noble. Earl had not slept through the night since Maxine died. That was three years ago now. 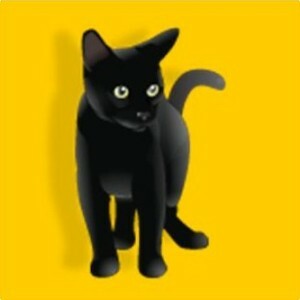 Conchita woke him every hour or so with her bouts of incessant meowling. She had started doing it shortly after Maxine took ill.